1. Wash the Gooseberries and wipe it with clean cloth. Crush the gooseberry with seeds using mortar and pestle. 2. Take sugar and water in a vessel let it boil. Switch off the stove and allow it to cool. Then add crushed gooseberries with seeds, washed raw rice, raw wheat and yeast. 3. Transfer the above mixture to a clean bottle. Cover the lid and leave it for a week. 4. After a week open the lid and stir this mixture with a clean ladle. Cover the lid. 5. Keep this for 21 days without opening. After 21 days strain the mixture into a clean, dry bottle. 6. Gooseberry wine is ready to use. 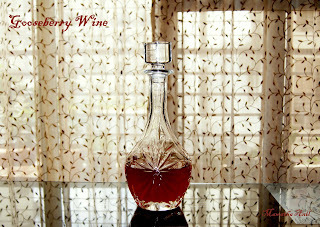 Taking a tsp of this wine everyday before going to bed help to relieve cold. 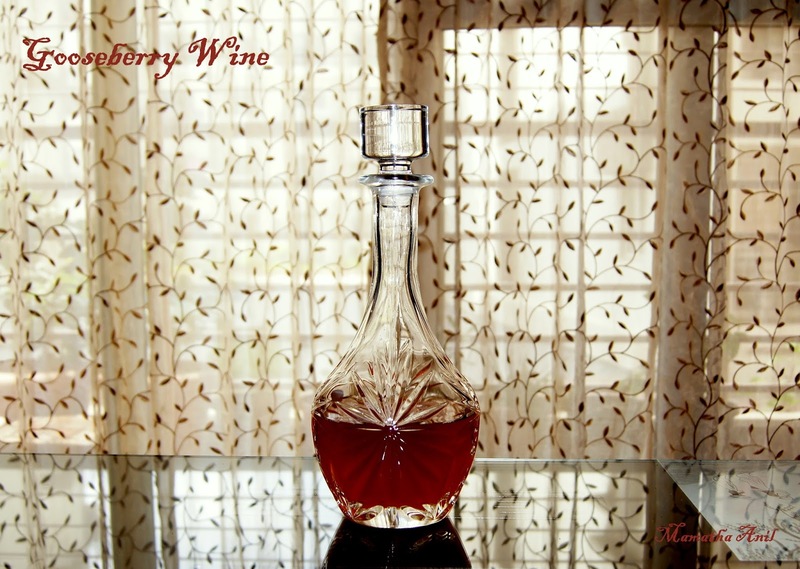 Note: Home made wines have low alcohol content than commercial wines and also are not harmful for health.